confirmed to exist in mammals. Many viral infections are nipped in the bud by the innate immune response. This involves specific proteins within the infected cell that recognize the virus and trigger a signalling cascade -- the so-called interferon response. This activates a protective mechanism in neighbouring cells and often results in the death of the primarily infected cell. In plants and invertebrates another mechanism is known to function in antiviral immune response: the so-called RNA interference (RNAi) pathway. RNAi uses an intermediate of the viral proliferation process to build a weapon against the virus. 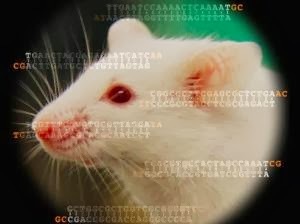 Although RNAi also exists in mammals, researchers have until now thought it to be involved in other cellular processes required for gene regulation but not in antiviral immunity. Evidence that RNAi does indeed contribute to mammalian antiviral defence is now published in Science by Olivier Voinnet, professor for RNA biology at ETH Zurich, and his colleagues. The researchers infected mouse embryonic stem cells with two viruses, the encephalomyocarditis virus (EMCV) and the Nodamura virus (NoV). Subsequently, they were able to detect short RNA molecules of about 22 nucleotides in length within the cells. The sequence of these RNA clearly corresponded to the viral genome and they displayed all the characteristics of the main effector molecules of RNAi called the small interfering or siRNAs. This provided evidence that the virus infection had activated the RNAi machinery of mammalian cells. The trigger for RNAi is an unusual RNA molecule that arises when the viral genome is copied: a long, double-stranded RNA molecule. This double-stranded RNA is cut into shorter pieces to produce siRNAs, which subsequently serve as a homing device. Since they are derived from the viral RNA and thus correspond perfectly to its sequence, they guide molecular scissor proteins to the viral RNA. The latter is subsequently cut into harmless pieces. Thus, the virus can no longer proliferate. Voinnet provides two reasons why the role of RNAi in antiviral immunity in mammals has been overlooked for so long: first, studies conducted in plants (notably by the Voinnet group) and later in invertebrates have shown that many viruses have developed counter-defences to inhibit the RNAi machinery of infected cells. If such counter-defences existed also in mammalian viruses, they would likely mask antiviral RNAi. Second, most scientists have looked for antiviral RNAi in differentiated cells in which the interferon response makes up the majority of the innate immune response. 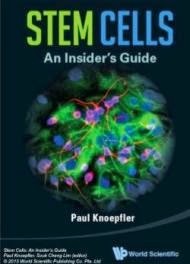 In contrast, Voinnet and his colleagues have focused on stem cells. Stem and presumably progenitor cells cannot produce an interferon response and thus do not possess a classical innate immunity. This makes sense, says Voinnet, as the interferon response results in the death of the infected cell. Since whole differentiated cell populations arise from the progenitor cells, they would be eliminated along with the latter. Similarly, virus infections in a stem cell would be very detrimental, as all its descendant cell lineages would be infected as well. "RNAi is therefore perfectly suited to protect progenitor cells from viruses. It may actually be the only form of immunity these cells can mount against viruses, however, I would not want to put into people's mind that antiviral RNAi operates only in stem and progenitor cells: we show in our paper that we can detect it in differentiated stem cells as well, although at a significantly lower level." said Voinnet. In order to provide further evidence for a function of RNAi in mammalian antiviral immunity, the researchers modified the Nodamura Virus genetically to eliminate what they thought was its counter-defence mechanism against RNAi. Subsequently, they infected mouse stem cells with the modified virus and observed that the cells could fend off this virus much better than the original NoV. Moreover, only upon infection with the engineered virus did the scientists detect siRNAs derived from the virus genome. These results show that RNAi is the mechanism that held NoV at bay, but this mechanism became only visible when the RNAi antagonist encoded by NoV was removed. "Thus, identical frameworks of antiviral defence and counter-defence operate in mammals, plants and invertebrates," concluded Voinnet. Work conducted in parallel and published back-to-back by Voinnet's colleague and collaborator Shou Wei Ding (University of Riverside, USA) show that siRNAs could be also detected in tissues of newborn mice infected with the modified NoV. Remarkably these siRNAs were identical to those found by Voinnet and colleagues in cultured mouse stem cells and they provided the suckling mice a near-complete immunity against the virus. "This was important proof to show that antiviral RNAi exists in a living organism and not just in stem cell cultures," explained Voinnet. Thus, the researchers have revealed an important and so far hidden part of innate immunity in mammals. "The beauty of this system is its simplicity, and, we can now say it, its universality. The RNAi machinery is part of the cells' normal life, but it acquires its function as an antiviral weapon thanks to the RNA that is produced by the virus to be eliminated. Since the specificity of the response is provided by the virus itself, the mechanism can basically adapt to any virus. Immunity could not be more innate than that!" said Voinnet.